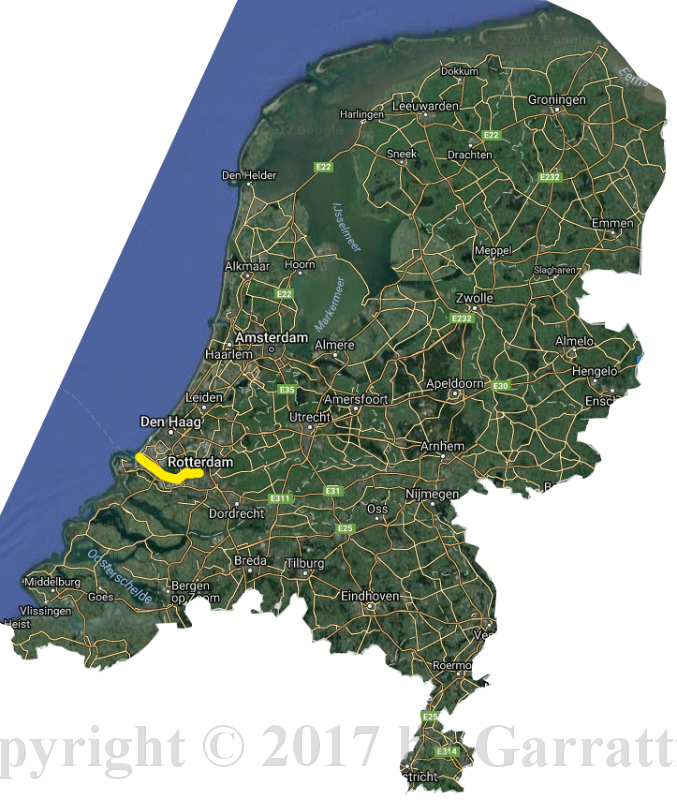 I travelled the railway line from Hoek van Holland to Rotterdam. Once a bustling international connection from England to destinations as as far as Moscow it is now to be converted to a local overland tramway and integrated in the Rotterdam transit system. I rode it for the first and last time. 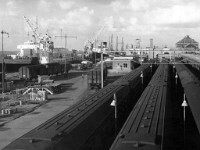 1 This album is made on the occasion of the conversion of the Hoek van Holland railway line to tramway operation. 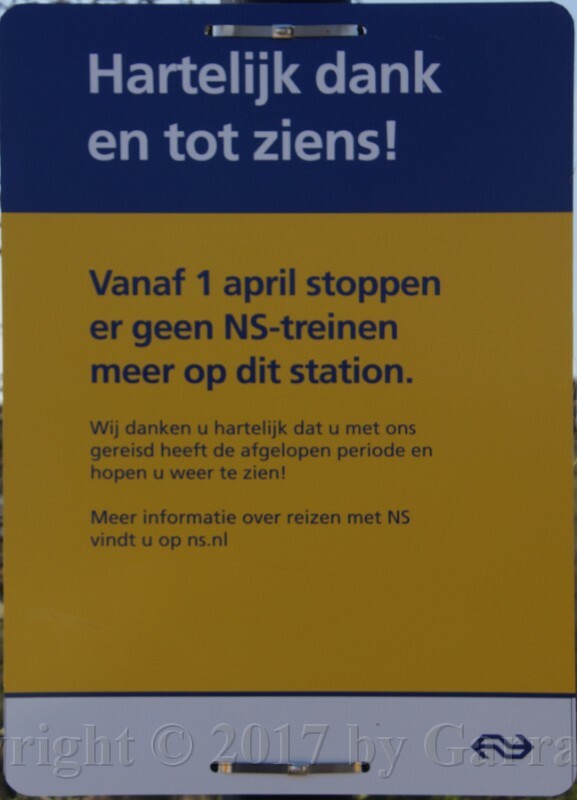 Of once three railway lines to the beaches of the Netherlands only one remains: Haarlem - Zandvoort. 3 It was conceived in 1875 as a competitor for the very succesful boat - railway route from England via Vlissingen (Flushing as the English speakers say, but I am lost as to what English are flushing in Vlissingen). It was completed in 1893 and made a connection to the ferries from Harwich. Electrification followed in 1935. Hoek van Holland Haven (Harbour) is the main reason for its extistence, but there is a small extention to Hoek van Holland Strand (Beach) to take people on a day out as close to the North Sea coast as possible. 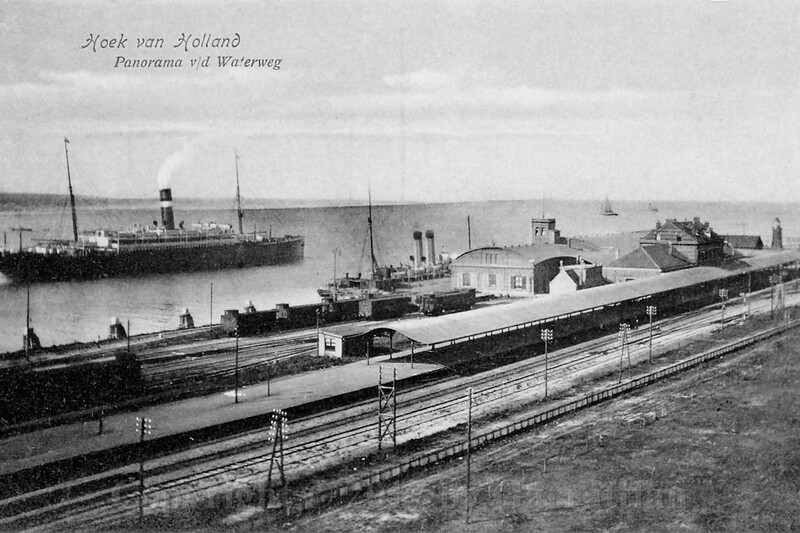 5 In 1910, short of twenty years after its opening Hoek van Holland Haven (Harbour) looked like this. A modest design but traffic soon took off and the connection proved to be a star. 6 International trains went from "The Hook" in many directions. This photo must have been taken by the end of the fifties or early sixties. I do not remember where I found it, if anyone finds I am offending his or her copyright please contact me. 7 The numerous tracks were often crowded with international trains. Destinations like Berlin, Warsaw and Moscow were perfectly normal in those days. By the end of the sixties the general decline of international railway travel hit hard. The airplane had won. The last international train left Hoek van Holland in 1993. The last (national) train connecting to a boat service ran in 2007. 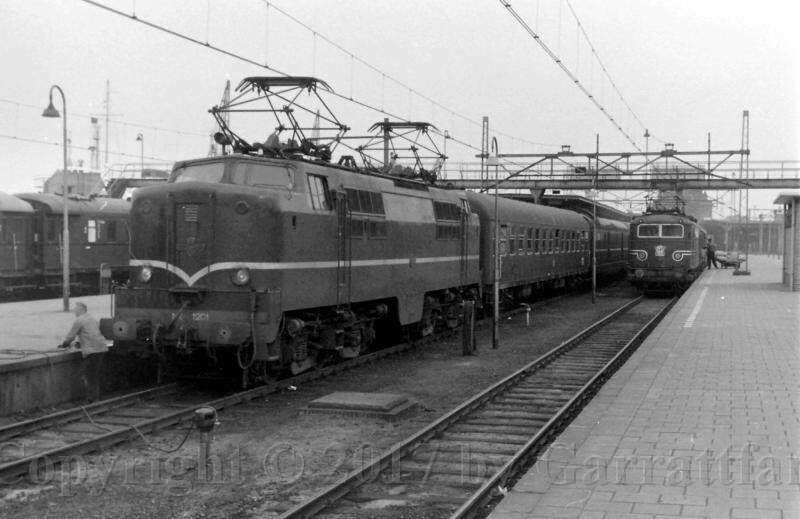 The line survived solely on the regional trains bringing commuters from Maassluis and Vlaardingen to Rotterdam. Starting from April 2017 railway operation will cease altogether. 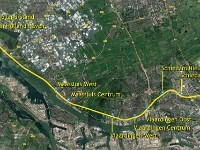 The line will be converted to an overland tramway line and integrated in the Rotterdam mass transit system. 8 Good, after this orientation let's turn to my ride. This is the Class SGM in Rotterdam Centraal that will take me on the ride to Hoek van Holland. The SGM is an inconspicuous and modest design, a bread and butter class really, earning its keep in regional stopper service. In a way it is the last of its kind. This class' technology is essentially the same as all previous electric classes from Class '24. From this class on the designs entered the thyristor and digital era. Built in between 1975 ans 1983 and refurbished between 2003 and 2006 there are 30 two car sets and 60 three car sets. The class is reaching its life expiry and withdrawal is likely after the arrival of the new sprinters from CAF. 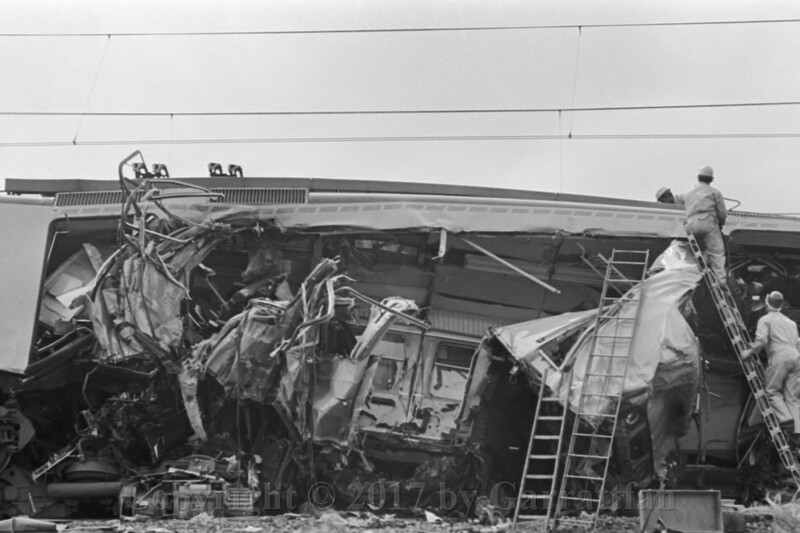 12 After Schiedam Centrum we passed "the spot" where the Netherlands' second largest train disaster happened. 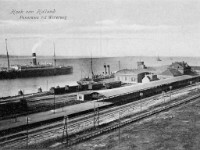 13 The line Hoek van Holland - Rotterdam recorded the second largest railway disaster in the Netherlands. 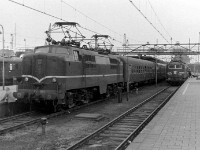 On 4 May 1976 the driver of SGM 2008 (right on the photo) left Schiedam Centrum despite a red signal. 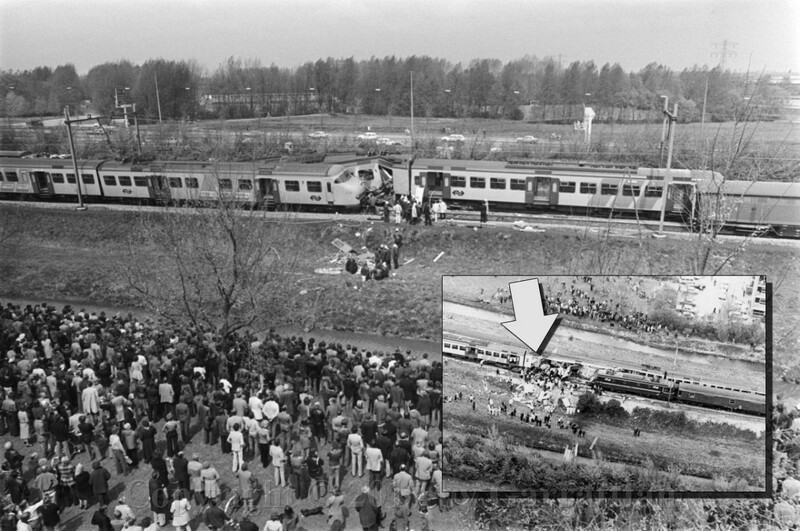 The oncoming intenational boattrain from Hoek van Holland with its heavy 1300-class locomotive (1311) obliterated the first coach killing 24. 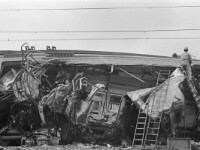 A third train passing on the other track struck the wreckage, it can be seen on the left, a Class '64. The aerial from the other side shows the locomotive which already has been pulled back to help the rescue operation. 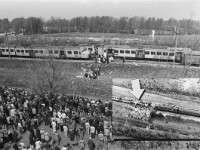 The arrow indicates the location of the drivers cab of the SGM after the crash. I went there to look. Chances are that I am in the spectator crowd on the photo, 17 tender summers young. 15 Station Schiedam Nieuwland, a later addition to the line, is a design with the least amount of amigination. 22 Another unimaginative hut. Vlaardingen Oost. 24 The original station looked quite different. 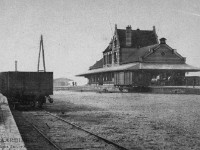 It stood from 1890 to 1911. 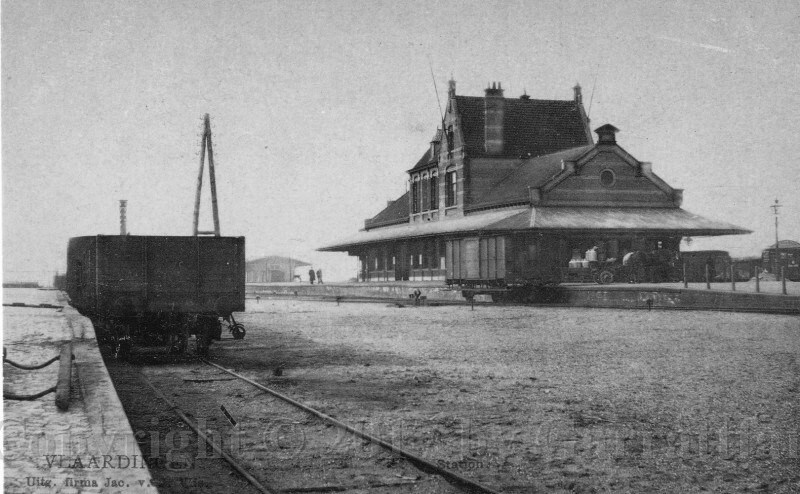 The second station building lasted until 1969 and the canopy was retained and is still standing today. 25 My train leaving Vlaardingen Centrum. I stayed behind to take few shots of the station and to wait for the next train that would take me all the way to Hoek van Holland Strand. 28 The generous yard layout shows how important this line once was. 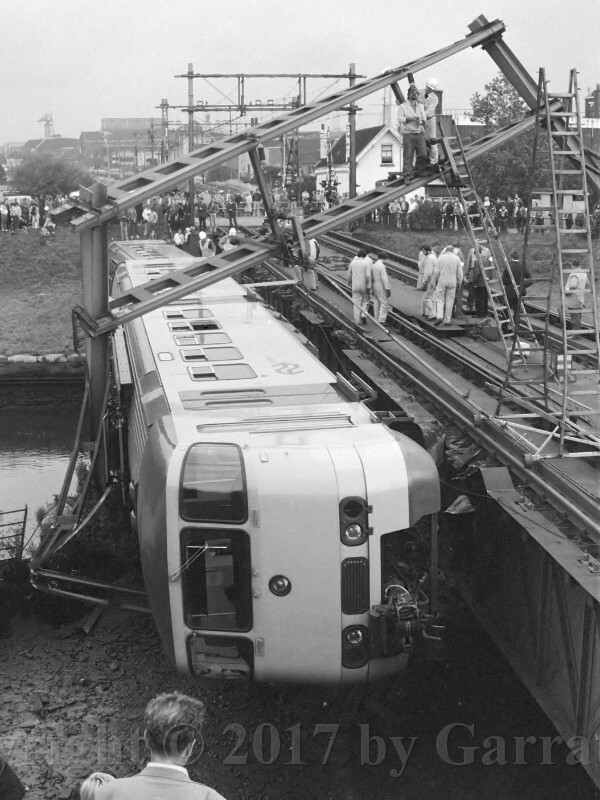 30 Spoorwegongeval bij Vlaardingen (1980) On 15 september 1980 a driver probably overlooked a signal that the bridge was not locked yet. 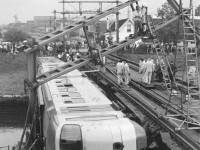 The train derailed on the bridge and was left dangling over the water in a most precarious situation. 31 The gates and payservices were already out of service. 36 The old electicity substation that was built in the thirties for the electrification of the line. I suppose it will be demolished after the conversion of the line to tramway operation. 38 The line now runs parallel to the Nieuwe Waterweg, a wide and deep canal for seagoing ships that connects the Rotterdam harbour area to the sea. 40 Preparations are underway for the conversion to tramway operation. 42 The Maeslant barrier, a floating storm surge barrier. It is normally open but it is closed when storm and high tides threaten the hinterland. 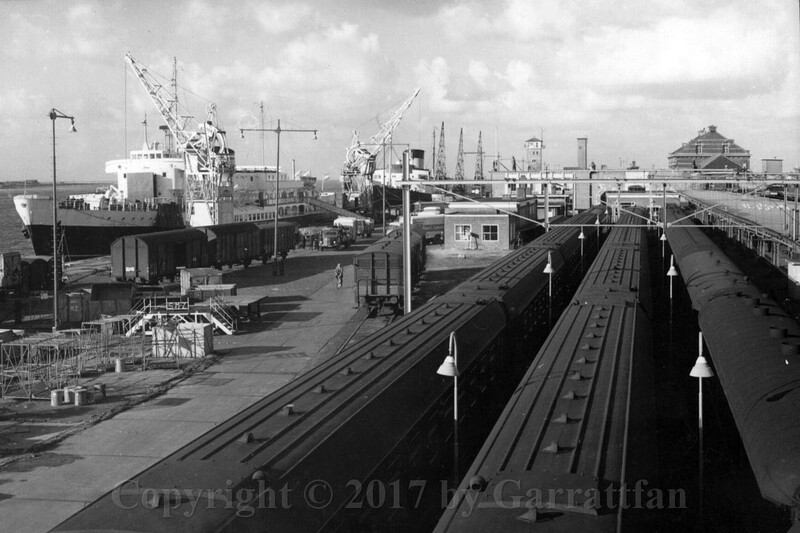 44 Ferry ships at Hoek van Holland Haven, once the pride, glory and source of existence of the railway. 45 Clearly the track layout shows the former grandeur of this station, notwithstanding that already half of the tracks has been broken up. 49 Leaving for the last leg: to Hoek van Holland Haven, no more than a few hunderds of meters. 50 End of the line: Hoek van Holland Strand. 56 Being in Hoek van Holland I walked to the beach and the long jetty that protects ships exiting the Nieuwe Waterweg. 71 I returned to the station after a lovely sunny walk. Not a bad day for March: 16 degrees. The wind is still chilly but away from the wind the spring is making itself felt. I did not return to Hoek van Holland Strand but walked on to Hoek van Holland Haven. 89 Her comes my train from Rotterdam. It will not continue to Hoek van Holland Strand but turn here at Haven. 95 A last photo. Next year when the tram services have started I will come here again to see what has changed. 97 Thank you very much (for travelling with us) and goodbye. 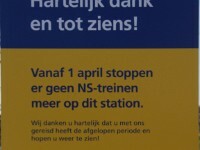 As of 1 April there will be no more train services on this station.